You can't just throw in cars from movies and tv shows (aside from F&F and DC partnerships.) Everybody wants Psyonix sued into the dirt just to be in the goal cam whiffing the ball with their favorite movie prop or video game series car. Dizzy Boy wrote: Can we trade up exotics to black markets in the garage. Also, can we have a race mode added. Have the tracks inside the stadiums, the tracks could go up the walls, jumps that lead to higher platforms, go through tunnels, loop da loops, cork screws, tight turns in the goal areas, and a mix of dirt and tarmac tracks. If people try to cheat by jumping ahead over dividing walls, they get reset back to the track from where they left. That would make the rarest items in the game next to worthless. And there's the problem, greed. Why the hell should I have to give up half of my best items to trade for a black market. It's boarderline scamming. And yet I have items that no one wants to trade for, who really want's regular bella cara? no one. The other thing to think about is that alot of people are gonna be hesitant to trade up 5 good wheels anyway, especially if they're painted. And unless you're fortunate to have loads of exotic wheels, how many people really have 5 or more exotic wheels from the same crate. I've had rocket league since january and I've opened quite a few crates since then, and have only gotten 1 black market drop in all that time, you know well enough just as I do that the black market drop rates are excessively slim. Can there be sound effects added to the wall to make it sound like metal fencing when either the ball slams against it, or when we're driving up and along the wall. I think it would be cool, if you could have an after goal "announcer reaction" , like neo tokyo has, but with other language and reaction options. I also think it would be cool if whoever gets an assist had some type of custom crowd reaction or arena animation. last one, what if after you score, your car has some type of custom animation, that would change your car into say; a sneaker, tank, bulldozer or something silly, like a vlasic pickle...? Last edited by dr_canna_bis on Mon Oct 01, 2018 7:43 am, edited 1 time in total. I feel that the Mach 5 from the anime "Mach Go Go Go" and the 2008 movie "Speed Racer" would be cool as dlc. The flips and spins seem natural for it, so you can see why it would fit! I would love to have one of those little buble blower sticks as an antenna, and when you drive, bubles come out of the top bit. @Psyonix do you guys actually use this thread to get any ideas? There's some cool suggestions here and I don't see any ever being used in the crates. I know your designers have their own ideas too, but it wouldn't hurt to take on board some of the community suggestions aswell. It would really be nice if you made a couple of community crates for each .years Rocket League celebrations and fill them with ideas from this thread. I'm sure people would be way happier if that happened. Five-0: Police-inspired black steelie wheels with silver hubcaps. Turbofan: Inspired by Porche IMSA wheels. Front wheel is similar to Diomedes, but without holes. Rear wheels are deep dish mesh design. Wheels do not have regular lug nuts, but use center-locking lug similar to Fireplug. Dirttrack: Basic race steelies. Visually similar to Batman Tumbler wheels, but with slick racetrack tread. Sport Induction: Deep dish mesh wheels with multi-color spike lug nuts. Bonneville: Simple silver moon wheel inspired by salt-flat racers. Lowest CPU demand. Dragster: Front wheel is super skinny moon, rear wheel is super wide with very tiny deep-dish rim and very thick slick rubber. FWD: Same as Dragster, but with the wide tire up front and the skinny one in the back. Here's a thought, cut out the crappy decals and add some other items instead. Rare items could include hood ornaments, different coloured tinted windows and neon lights. Vary rares could have moving hood ornaments, multi coloured/swirling neons and import animated tinted windows. I also want an antenna that looks like those red, white and blue/green barber shop spinning sign things. Renegade car from Supersonic Acrobatic Rocket-Powered Battle-Cars as Premium DLC , because he is the only missing classic car and Rocket League feel incomplete without him. I don't own a PS3 (so can't play SARPBC), so I would like to drive it. ToupouButtercup wrote: Renegade car from Supersonic Acrobatic Rocket-Powered Battle-Cars as Premium DLC , because he is the only missing classic car and Rocket League feel incomplete without him. I don't own a PS3 (so can't play SARPBC), so I would like to drive it. 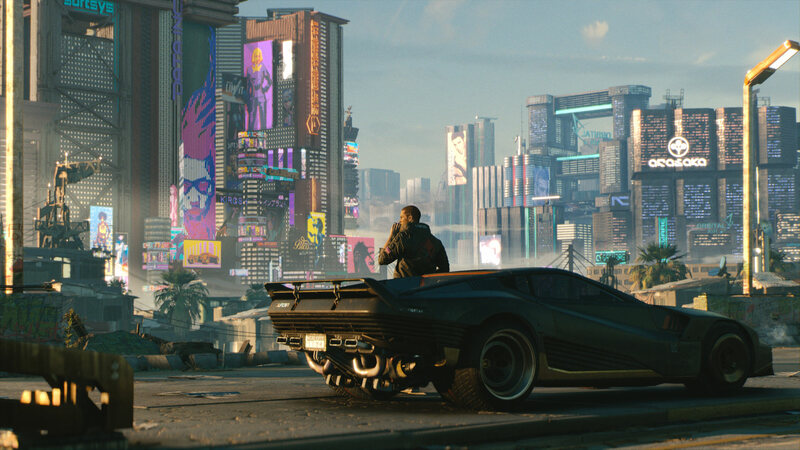 In the future car from Cyberpunk 2077. Looks pretty cool.